Discover artisan soaps. Now you can shop beautiful, all-natural products for you and your whole family at Naturally You Artisan Soap. Created with a variety of oils and moisturizing natural additives that leave your skin feeling healthy, hydrated and radiant, Nora Curtis hand crafts each bar of soap you see in her shop in building 9. 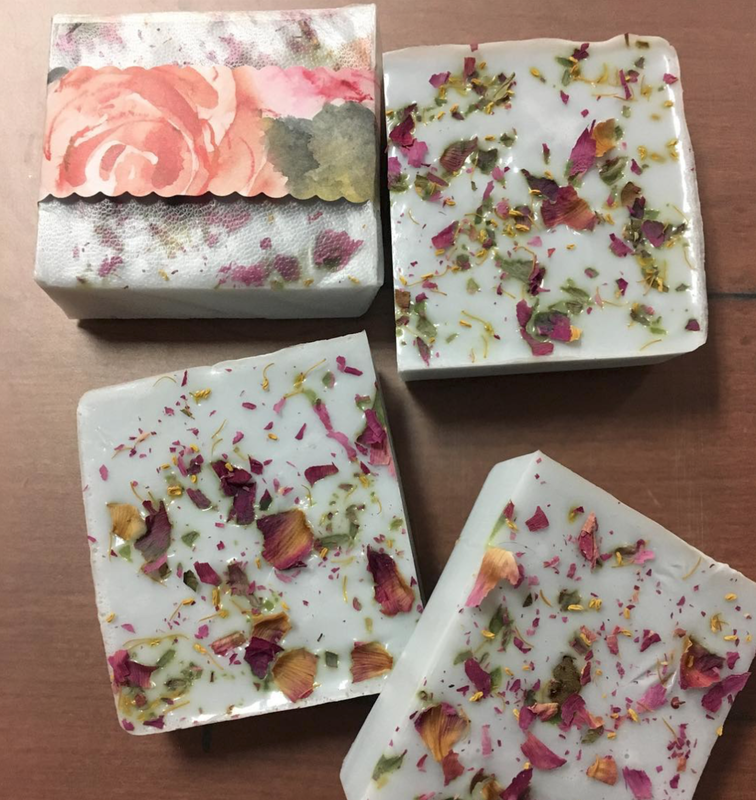 Right now, she is offering shea butter and olive oil based soaps, featuring oatmeal, honey, lavender and dry flowers, plus carefully picked pure oils and oil fragrances. These unique soaps are mild enough for those with sensitive skin, young children and even pets. This winter you can find His and Her shaving creams, Sugar Scrubs, Sea Salt Scrubs and Strawberry Sugar Cream Scrub. Plus, paw wax to protect your dogs’ tender feet during the harsh winter months. Not only can you shop this boutique, you can also take classes here. Her signature space features 8-10 work stations for Saturday morning soap-making workshops. You can choose from a morning or afternoon session and in just two hours you will go through the whole process from melting, adding oils, color, texture, scent and packaging to four bars of soap that you get to take home with you. You can even book a private party with Nora and she will guide you and your friends (or co-workers!) through the process of making your own soap. Find Naturally You Artisan Soap on Facebook and Instagram or go visit: Monday through Friday 11A to 6P, Saturday 1P to 4P and Sunday by appointment.